G’day mates! Hope i didn’t catch ya snorin. Let’s put another Open Forum on da barbie! As you may have heard Kanye West threw another tantrum at one of his concerts. This time it was only 30 minutes in before storming off and effectively cancelling the show. I didn’t have to read about it. I lived it. After going to his concert last month I thought ‘why not do it again?’ little did I know this would be the outcome. The show started off so well by having long time collaborator Kid Cudi join him on his infamous ‘floating’ stage. This was the first time he had a guest which was historic in a sense but that incredible opening quickly dissipated when halfway through his 3rd song he began to rant about a myriad of issues he’s got with music and politics. He realized the crowd wasn’t feelin it and stormed off much to our disbelief. At least I’m getting my money back! Have you ever been witness to something so unbelievable it remains hard to believe? 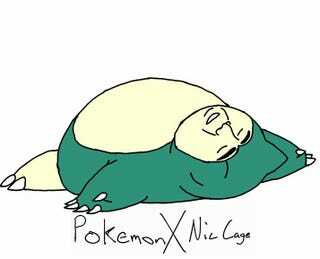 I give you Pokemon X Nic Cage as an example.